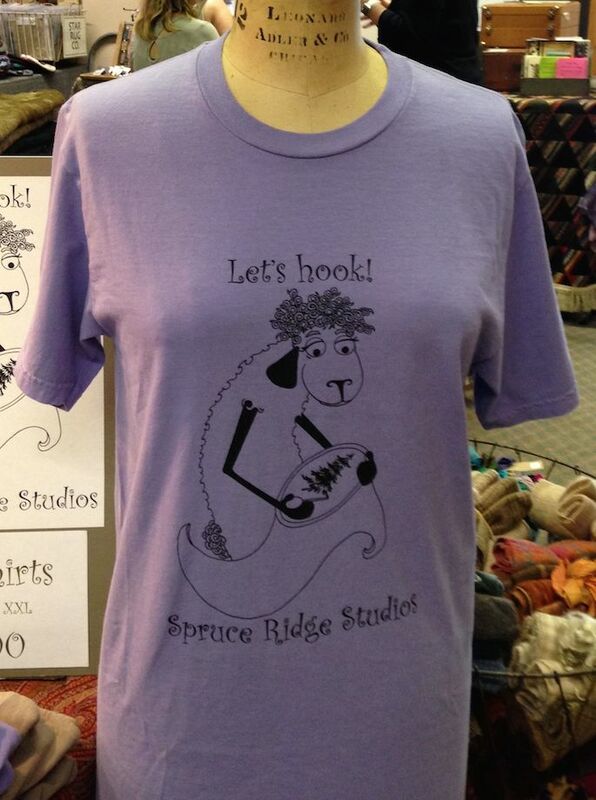 Rug hook in style with our exclusive tee shirts! Pigment dyed and available in 5 unisex sizes. Since they are 100% cotton, we recommend a cold wash/rinse and hang to dry (Some shrinkage may occur). Also available in taupe. Designed by Molly McNeece, exclusively for Spruce Ridge Studios.